The one-day conference will take place in the morning and afternoon of Saturday, May 11th, 2013. The schedule will include a keynote, talks, Open Data Alley, as well as food and networking. Regular registration is sold out. See our news release for a concise summary. Information about speakers and programming can be found on the schedule. 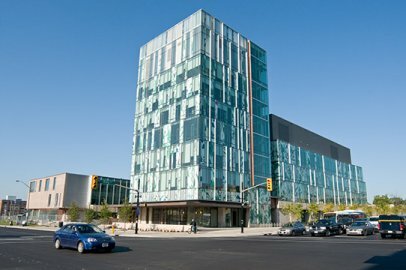 The inaugural conference will take place at the University of Waterloo School of Pharmacy. A special rate has been arranged with the Delta Kitchener-Waterloo which is a 15 minute walk from the venue. The address is 105 King Street East Kitchener, Ontario N2G 2K8. Delta Rooms or Premier Rooms (2 queen beds or 1 king bed) are available at the rate of $90.00 per night plus taxes. This special rate is valid for May 10th and May 11th. Additionally there is a discounted overnight parking rate of $5 per night plus taxes. To book a room call 1-800-483-7812 or email amanda.neeb@deltahotels.com. The group name is GO Open Data. Another hotel near by is the Walper Hotel at 20 Queen Street South, Kitchener On. N2G 1V6. Public Transportation: If you arrive either by bus or train you will be with walking distance of the School of Pharmacy building. From the Kitchener train station walk about 2 block west to the corner of King and Victoria. By bus, from the Charles Street Terminal, walk north on Charles street to Victoria and then the School of Pharmacy will be just to the East. By Car: From the 401, take HWY 8 to 85 and exist at Victoria. Head west on Victoria for several blocks until you approach King. Wifi usernames and passwords will be emailed to all attendees on Friday afternoon before the conference. You can connect to the uw-unsecure network, open a web browser and you will be redirect to a page where you can enter your username and password. You can also connect to eduroam with your username@uwaterloo.ca and the password, but it can be more complex to setup. While in the main conference room you can also connect to the network with a short ethernet cable. After the conference join us at McCabes just down the street for more free food and a chance to continue the conversation. Being a conference on open data, we've set up an API for GO Open Data for some of our data. Created in 2012 by Albert O'Connor. Logo by Snow Conrad.